The characters created for Marvel Comics in the '60s managed to invade the American pop culture consciousness in a way seemingly different from their antecedents of the '30s and '40s. The characters conceived, written, and drawn by the likes of Jack Kirby and Steve Ditko, overseen by editor Stan Lee, reset expectations about American superheroes. The comics produced by Atlas Comics, before the company was rebranded as Marvel Comics broke, with the conventions of contemporary comics, "routinely displaying a political consciousness," and that that consciousness carried over into the superheroes developed under the Marvel masthead. The creative forces of Ditko and Kirby, along with Lee's acumen for audience engagement, offered readers new and strange superhero archetypes. Ditko's comics adapted the inward-looking psychological suspense and development more commonly found in horror comics to the superhero genre, and in Ditko's early years working under Lee's editorship, the duo produced a number of suspense, monster, and weird tales for titles like Journey into Mystery, Strange Tales, and the comic that would eventually be re-titled Amazing Fantasy, which bolstered itself as being "The magazine that respects your intelligence!" What appears to be absent from the limited critical discourse surrounding Ditko's comics is his inclusion of people of color in his narratives, and his creation of an East Asian superhero in the form of Doctor Strange in 1963. 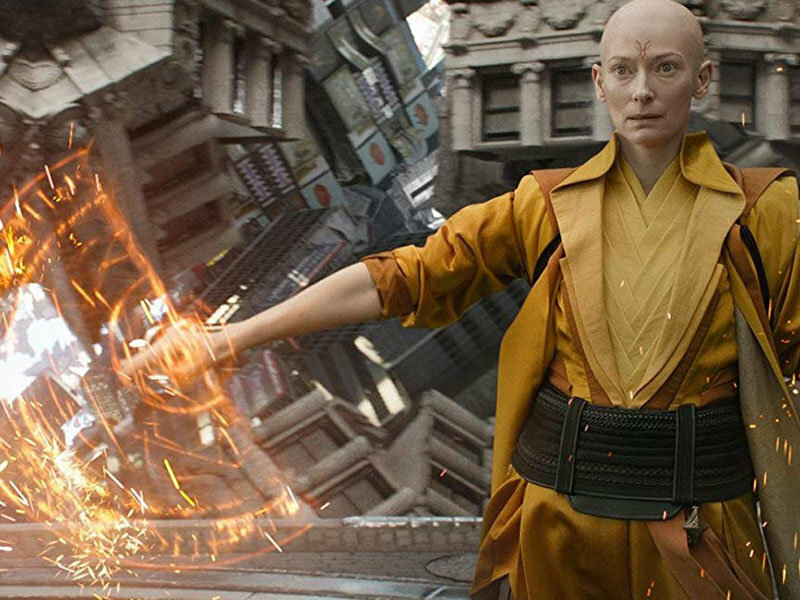 When Scott Derrickson's Doctor Strange film was released in 2016, the subsequent discussions around race and representation were in relationship to Tilda Swinton's casting as The Ancient One, who was originally an elderly East Asian-appearing man. The Ancient One, in his original—and ongoing—presentation, was also more in the mold of H.P. Blavatsky's Ancient Masters or a character from a Talbot Mundy story, than action-hero mentor: a warrior of the mind, not the body. Although, Busiek and I are on the same page, it begs the question: Do readers really not know that the Doctor Strange character is Asian? If so, why not? And if not, it seems, do the writers and artists who followed Ditko at Marvel didn't know either. After all, if readers' familiarity with the character is only in his post-Ditko incarnations—the 2016 Benedict Cumberbatch film version or, dare I say, Philip DeGuere Jr.'s 1978 made-for-TV movie, Dr. Strange (Philip DeGuere Jr., 1978)—where the character is exclusively portrayed as white, European descent, then I can understand a feeling of surprise, even a certain amount of skepticism. Many of the post-Ditko Doctor Strange renderings of the character more closely resemble Vincent Price than Ditko's East Asian original. I more fully unpack this claim about the good doctor's ethnicity -- as well as a complicated look at the politics and philosophy of Ditko's comics -- in my forthcoming book, Mysterious Travelers (University Press of Mississippi). For now, let's consider the evidence for an Asian Doctor Strange here. Although Lee is given credit as co-creator, Marvel's Doctor Strange was conceived solely by Ditko. Lee's later editorial work on dialog was based on panel-scripts provided by Ditko. It's from those first stories that we can draw sensible conclusions about Ditko's intent regarding the character's ethnic and racial identity. In his 2008 essay, "He Giveth and He Taketh Away" , Ditko explains that he "brought in to Lee a five-page, penciled story with a page/panel script of [his] idea of a new, different kind of character for variety in Marvel Comics. 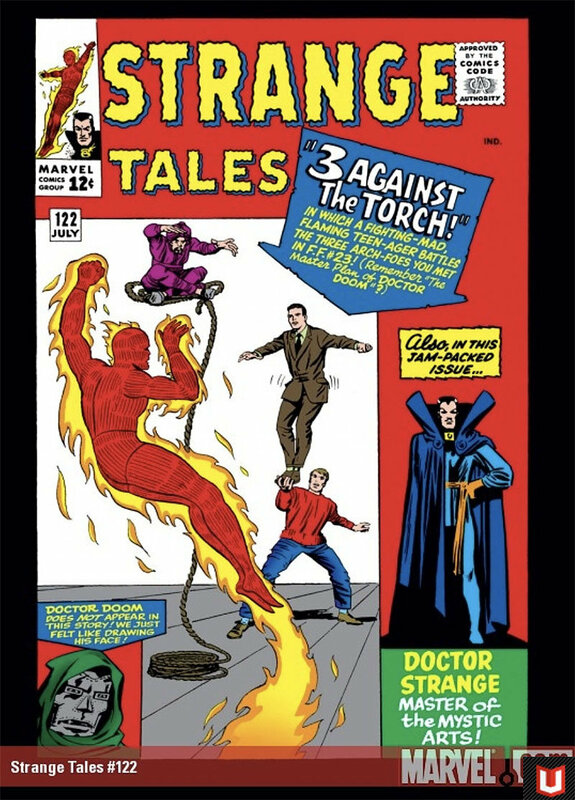 [His] character wound up being named Doctor Strange because he would appear in Strange Tales." The name is an obvious nod to the horror-host motif common amongst the weird suspense stories which Ditko frequently worked on at both Marvel and other publishers, like Charlton Comics on comics such as The Thing, Mysteries of Unexplored Worlds, and Strange Suspense Stories. 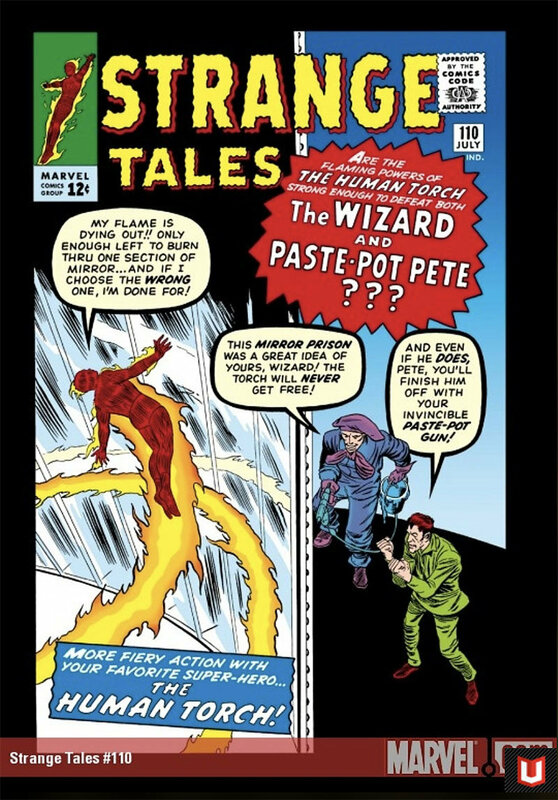 Doctor Strange's first name, Stephen, was Lee's addition and was not given to the character until Strange Tales #115, five issues after his first appearance. Letters to readers are another story. None of the dialog edited by Lee indicates a national, ethnic, racial, or regional origin for the character. On the other hand, everything that is "seen" in that first published story do point to Doctor Strange being at least of Asian descent. What a response like the one I received also illustrates is Ditko's that imagines that his work stands on its own, and the intention -- narrative, philosophic, or otherwise -- is made clear through the visual narrative he has laid out on the page. "I am my work. My work is me," he once briefly offered readers. I take Ditko seriously when he says that his contributions stand on their own, and even though I have serious concerns about deferring to authorial intent. In an instance like parsing out racial representation in Doctor Strange, there's something to be said about Ditko's sincerely held belief that his work speaks for itself, needing no additional explanation from him about its intent. While it might be nice to imagine that his messaging was clear to readers, that's obviously not the case, as briefly evidenced by the response Busiek received when making, essentially, the same claim Ditko made to me two years earlier. The result of this lack of clarity for readers—and later contributors to Doctor Strange's comics mythos—is that issues of racial representation are ignored, misunderstood, muddled, or some combination has led to racial exclusion in Doctor Strange comics, by eliminating the Asian (or even Asian American) lead and replacing him with an Anglicized version. Of course, there had been a number of East Asian characters in American comic books prior to the introduction of Doctor Strange, and they were common in pulps, movies, and radio dramas, too. In comics they were characters like Jimmy Woo, Wing (sidekick to Crimson Avenger), and pulp characters like Kato (sidekick to the Green Hornet). But when such characters appeared they were saturated in dehumanizing racial stereotypes -- and in films and radio were played almost exclusively by white actors. In comics, for example, although a character like Jimmy Woo had a leading role for a short period of time, he also starred in a comic called Yellow Claw, named for the series' villain, who came complete with the requisite canary-colored skin and fanged teeth. Whether the muddling of Doctor Strange's race and ethnicity were intentional or not is, in all fairness, unclear. However, in another 2008 essay, "He Giveth and He Taketh Away", Ditko casts suspicion on the situation writing, "And did Lee ever say why he suddenly gave Doctor Strange to Geo. Bell to ink?" This is in reference to the fact that Lee had decided to relieve Ditko of inking duties, instead assigning the task to veteran inker George Roussos (working as George Bell). Roussos first inked Doctor Strange in Strange Tales #114 and seems to have remained faithful to Ditko's pencils and the racial make-up Strange was given. After that, Ditko went back to inking the character until Strange Tales #122-125, and it's during that tenure that Doctor Strange is given more Anglicized features through Roussos' heavy-handed inking. What is not in clear evidence is why the character's features were changed in this way, particularly after Roussos had earlier more closely maintained Ditko's pencils. I hesitate to speculate on what led to the decision to ink the character as white, but in his comments above, Ditko makes a point to draw attention to editorial decisions made after he turned in his pencils and panel-scripts. In "He Giveth and He Taketh Away", Ditko stops well short of accusing Lee of anything, and so I am. Ditko and Lee rarely spoke to each other during this period, and it was because of what Ditko saw as Lee's repeated failures with the character between Strange Tales #115 and #125, that Ditko insisted that creative control—the full plotting, penciling, and inking—be returned to him. Although the damage had been done, once Ditko regained greater control over Doctor Strange was back, the way the character is rendered falls much more in line with his earlier appearances. This is not a coincidence. In an age when characters like Doctor Strange are a part of multi-billion-dollar media franchises, a critical reappraisal of their creation as it relates to how they are cast in film and television, as well as how they are illustrated in their source material, is crucial. Issues regarding racial representation are far more complex than the mere appearance of characters-of-color, as the troubling history of Asian representation in popular media more than aptly demonstrates. And Ditko's Doctor Strange, with its sincere tone, does not relieve it from the critique of the cultural norms that it caters to. However, what Ditko's Doctor Strange does not traffic in -- as he conceived it and when he returned to it -- is erasure. Marc Singer, Breaking the Frames: Populism and Prestige in Comics Studies (Austin: University of Texas Press, 2019), 40. See also: Bradford W. Wright, Comic Book Nation: The Transformation of Youth Culture in America (Baltimore: Johns Hopkins University Press, 2003), 220-223. Kurt Busiek, "@GailSimone @nataliereed84 Dr. Strange _was_ Asian in his first appearance. He was retconned white a few stories later.," Twitter, February 27, 2016. Kurt Busiek, "Every time someone retweets my comments about Dr. Strange initially being Asian, there's this mini-wave of angry denial. It makes me wonder." Twitter, April 13, 2016. Steve Ditko, "He Giveth and He Taketh Away," The Avenging Mind, 2008, 18. Stan Lee to Jerry Bails, January 9, 1963, accessed November 25, 2018. A complete list of works published by Snyder and Ditko can be found here. Steve Ditko and Robin Snyder, Down Memory Lane, ed. Robin Snyder (Bellingham, WA: Robin Snyder and Steve Ditko, 2019), 18. Kurt Busiek, "The number of people telling me that Dr. Strange isn't literally called Asian in STRANGE TALES 110, as if comics only communicate in words..," Twitter. Quoted in Murray Boltinoff, "Meet the Men Behind the Creeper," editorial, Showcase, no. 73, March/April 1968, 25. Qiana J. Whitted, EC Comics: Race, Shock, and Social Protest (New Brunswick: Rutgers University Press, 2019), 64-65. Steve Ditko, "He Giveth and He Taketh Away," The Avenging Mind, 2008, 19.